The College of Public Programs is pleased to welcome Jonathan Koppell from the Yale School of Management as the new director of the School of Public Affairs. At Yale he directed the Millstein Center for Corporate Governance and Performance. 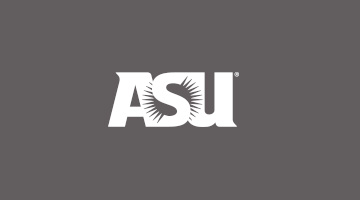 Koppell is inspired by Arizona State University's initiatives and research in public policy and envisions the School of Public Affairs as a connecting point among policy experts across the university. He believes the School of Public Affairs can help its students take good policy ideas and make them operational. "Jonathan Koppell will position the School of Public Affairs to be of significant value to Arizona, capitalize on the strengths of public policy at ASU and become a national leader in key issues of importance to our country," said President Michael Crow. Koppell will usher in the new undergraduate degree in Public Service and Public Policy. He hopes to help students understand how government and public agencies work and what they can do to change the rules of the game. He emphasizes the critical need to draw students to work in the public sector. "There has never been a time in 50 years where the need for good public administrators has been so high. It's obvious we need highly skilled professionals in this field," Koppell said. He also stresses the importance of cooperation between the public and private sectors and wants students to know they can learn to successfully bridge that gap. Koppell is thrilled to be a part of the thriving Downtown Phoenix campus and sees the University as a catalyst for further revitalization of the city of Phoenix. "It's working," he said. "Hopefully we'll see downtown become a real asset to the region." He also believes public affairs students are "admirably performing a vital role" in society and hopes to bring a public policy perspective to a broader swath of ASU students. Koppell's research investigates the design and administration of complex organizations, particularly entities that hover at the intersection of politics and markets and the political dynamics of capital markets. He addresses key policy issues including government involvement in for-profit enterprise, global regulatory institutions, regulation of financial institutions and corporate governance. In his forthcoming book, "World Rule: Accountability, Legitimacy and the Design of Global Governance" (University of Chicago Press, 2010), Koppell looks at global rulemaking bodies such as the World Trade Organization, the International Organization for Standardization and the International Accounting Standards Board. Jonathan Koppell holds a Ph.D. and M.A. from the University of California, Berkeley and an A.B. from the Harvard College.